Happy Wednesday! 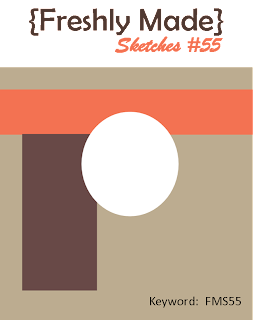 It's time for a new sketch from Freshly Made Sketches. Today's great sketch comes from Jen Mitchell! I am loving square cards lately; it's definitely not my norm, but it's working for me right now. For this sketch I pulled out an old favorite, Spooky Sweets II from Papertrey Ink. They recently came out with dies to match the stamp set so I just had to ink up that witch flying on her broom. I went with a more recent stamp set for the sentiment. Loving that patterned paper from W R Memory Keepers. Be sure to stop by Freshly Made Sketches and check out all the wonderful creations from the Clean Team! For the rest of this month we have the very talented Anniversary Challenge Winners joining us as Guest Designers. Narelle Farrugia and LeAnne Pugliese! Stop by and give them some cheers! And please come and play. I'd love to see your take on this week's sketch! 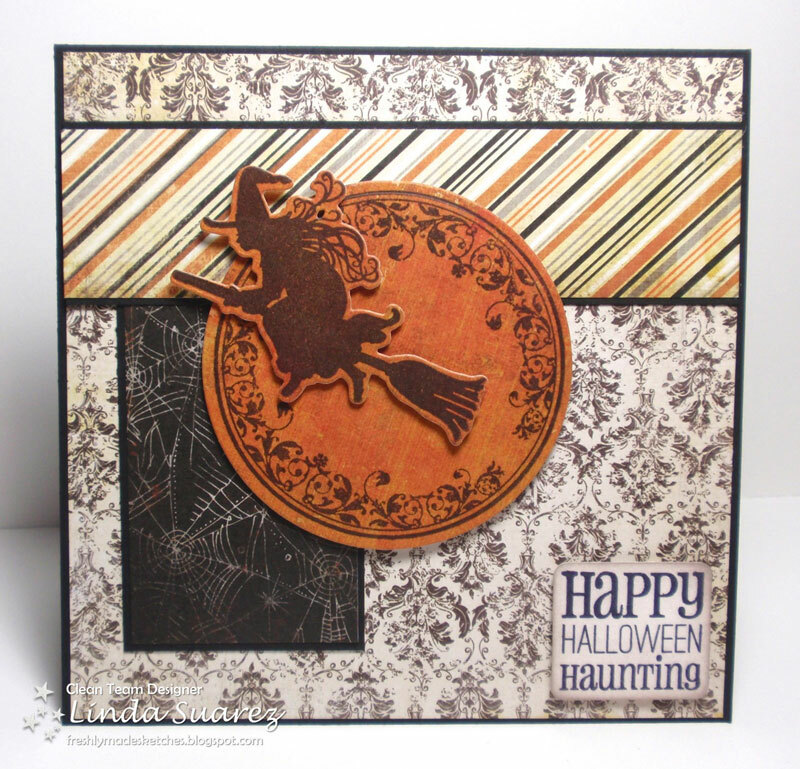 Cool Halloween card Linda! I too love the witch image! I love the witch image on your card! What a fun card Linda! I love that witch and that fun DSP! What a great Halloween card! Great patterned paper. Great image. I love it! Love the mix of papers, great take on the sketch! I absolutely love this card! The witch across the moon is fabulous! 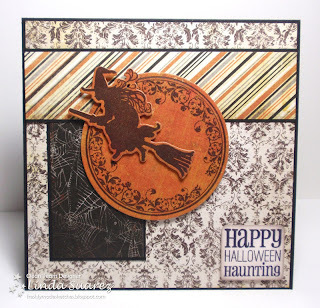 What a fabulous use of those patterned papers Linda ... and that flying witch in the sky, she is awesome! Love it Linda!! I love the pattern paper you used! The witch is great!! Such a fun card, Linda! Love how you have put together all of your papers and the black silhouette on that wonderful shade of orange is perfect! TFS! Great card, Linda! I love the choice of papers... together they have a very spooky feel!